Itâs up for auction on September 8 at Leon Gallery. "Finally, a Botong. 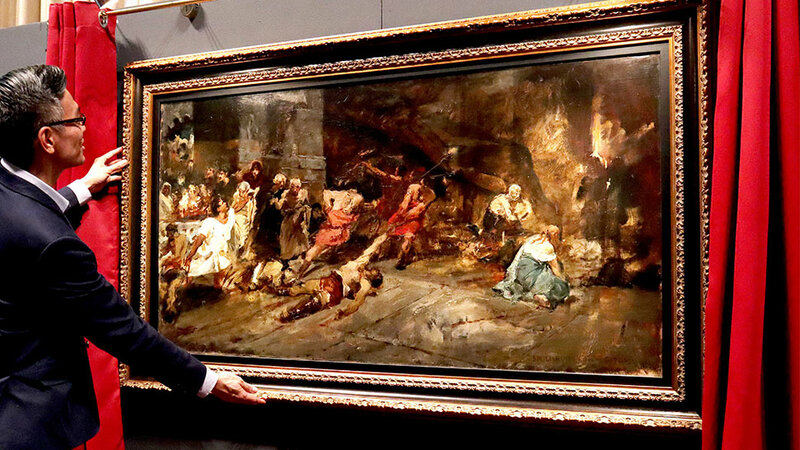 For the entire history of Leon Gallery, we have searched for a Botong of this great scale, beauty, and importance," starts Leon Gallery Director Jaime Ponce de Leon in the catalogue's foreword for The Magnificent September Auctions 2018. 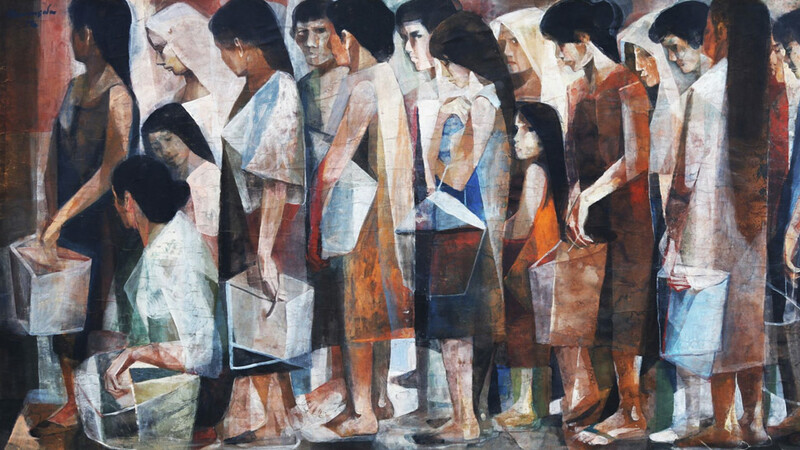 The Makati-based arts hub has always put Carlos "Botong" V. Francisco's works on display or under the gavel; but this time, it's proud to present a rare piece flown in all the way from Hong Kong, which will be part of The Magnificent September Auctions 2018. 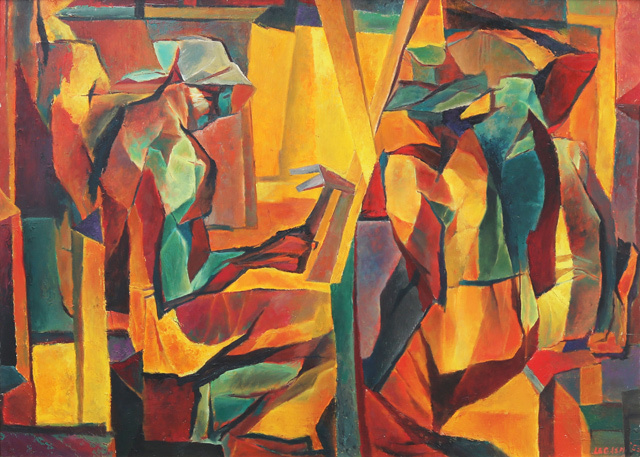 The auction is on September 8, 2 p.m. at Leon Gallery in Legazpi Village, Makati City. "The Nose Flute" was inspired by a Filipino custom common in the northern mountain tribes of the Philippines. The kalaleng (or nose flute), an instrument of courtship, is used by inhaling through the moth and breathing out of the nostril to create soft, beautiful melodies. 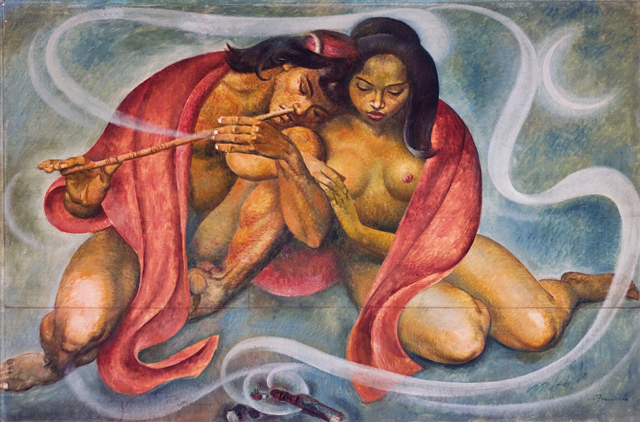 The red blanket also references a Cordilleran courtship dance, which begins with a pair of separate blankets that eventually become intertwined, symbolizing true love. Despite the focus on tradition, Botong gives another layer of meaning by putting a man and a woman side by side around the campfire–note that the girls in the north are not allowed to go near the boy's campsite (or ato) before their teens. 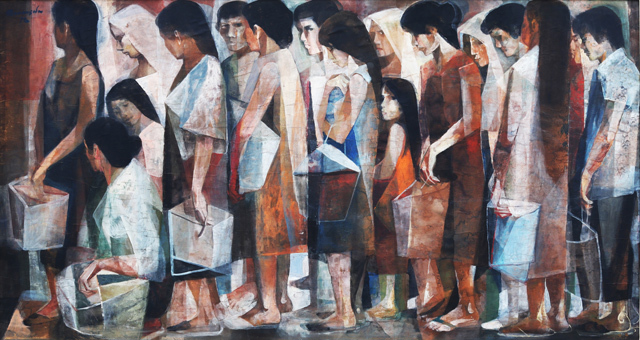 This presents the artist's perspective in gender equality as well as the importance of national identity, according to curator Lisa Guerrero-Nakpil. The Magnificent September Auctions 2018 is on September 8, 2 p.m. at Leon Gallery, G/F Eurovilla 1, Rufino corner Legazpi Street, Legazpi Village, Makati City. 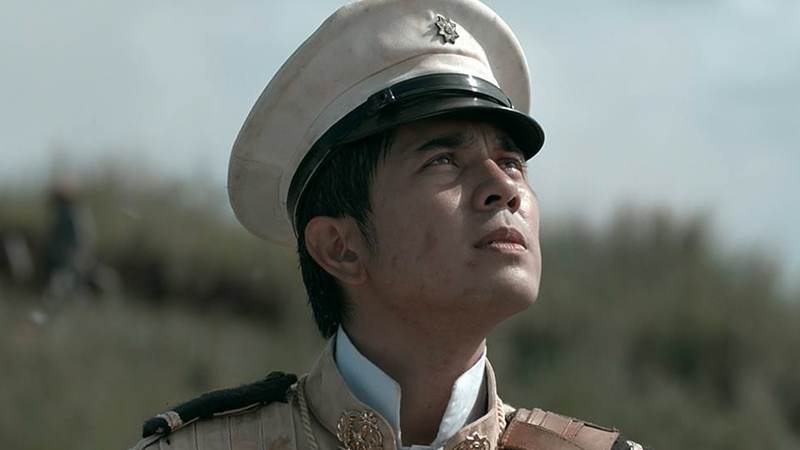 Preview runs from September 1 to 7. For more information, visit Leon Gallery's website.